With 2018 retrospectives in full swing and a new year on the horizon, now is the perfect time to review David Skok’s annual private SaaS company survey. This report provides insights and benchmarks for teams across SaaS companies- from Sales and Marketing to Finance. Here are the key takeaways for Customer Success. Survey Question: How much did your existing ARR base at the end of 2016 expand or contract, adding upsells and expansions from existing customers, subtracting gross dollar churn? Despite a fairly high median gross dollar churn rate of 13.2%, most SaaS companies saw strong enough net retention to fill the gap caused by churn. The median company brought in 1.7% more revenue from their existing customers in 2017 than in 2016. Maintaining (and hopefully growing) an existing customer base is generally seen as Customer Success’s raison d’être. The average SaaS company saw a 34% growth in ARR from upsells and expansions. ARR can have a powerful effect on net revenue but subscription renewals are fundamental to the SaaS business model. The compounding effect of low renewal rates (ie. high churn) greatly limits a company’s ability to grow. 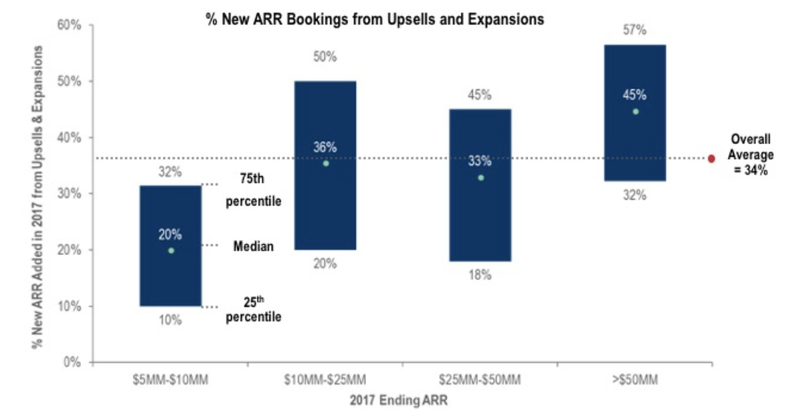 SaaS companies’ preferential treatment of new ARR is captured in the higher commission rates paid on upsells compared to renewals. The median renewal commission rate was 3%, with 35% of respondents saying they don’t pay any commission on renewals. Contrast this with the median upsell commission rate of 9%, with 68% of respondents saying they pay full commission on upsells. This leads me to conclude that most quota-carrying CSMs have goals tied to net revenue versus renewal rates. While this type of commission allows gross churn to be offset with upsell and expansion revenue, it doesn’t positively value renewals. 71% of respondents offer Professional Services- a much higher number than I expected. 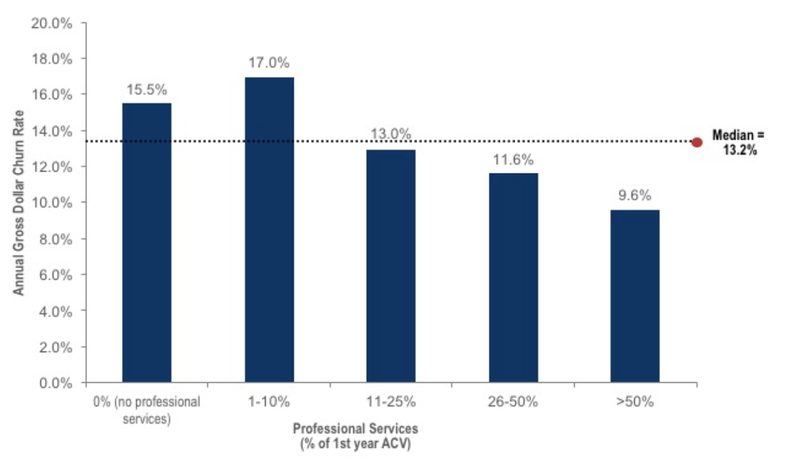 Even companies targeting Mid-Market/ SMB/ VSB markets that offer Professional Services make 7% of their first year ARR from these fees. Furthermore, the report suggests that companies with customers who spend more on professional services see lower churn. Professional Services can certainly add value to the customer relationship in the form of product implementation and onboarding, instituting change management, and product customization. However, companies that offer Professional Services generally have more complex and expensive products they’re selling to Enterprise customers, which makes it hard to control for contract size and duration when trying to determine the effect Professional Services might have on churn for the average SaaS company. It’s interesting to consider how Professional Services might act as a complement or extension of Customer Success. What were your takeaways from this year’s survey? Read my 2017 recap if you want to review the key trends from last year’s survey. © 2019 Brooke Goodbary. All rights reserved.